Camry and Camry Hybrid cars allegedly build up condensation and mold in the evaporators. July 27, 2018 — Toyota Camry mold smells have caused a proposed class-action lawsuit that accuses Toyota of conspiracy and mail and/or wire fraud by concealing the alleged defect in millions of 2012–2017 Camry and Toyota Camry Hybrids. 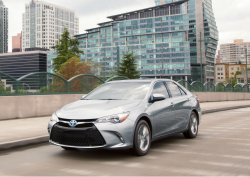 Missouri plaintiff Javier Cardenas purchased a new 2014 Toyota Camry when he lived in Florida, a car he continues to own. Cardenas says he experienced a “funky, horrid, old smell” when turning on the air conditioner several months after buying the car. The plaintiff claims the smell gets worse as he sets the air conditioner temperature to blow cooler air. Passengers have allegedly complained about the odors even when the air recirculation feature is turned off. Cardenas took his car to a Missouri dealer in June 2015 and complained about the smell and was told it was caused by humidity. The plaintiff says he was told to open the vents of the Camry and that using the heater would stop the smell. The dealer allegedly wanted $300 to open the dashboard to inspect the car, so the plaintiff tried the recommendations from the technician and opened the vents and occasionally kicked on the heater. With nothing allegedly working to mitigate the odor, Cardenas says he called Toyota, but the lawsuit doesn't allege what happened during the discussion. Plaintiff Kurt Kirton lives in Tennessee and purchased a used 2015 in March 2017, a vehicle he still owns. However, the lawsuit doesn't claim Kirton ever experienced any odor problems with his car. 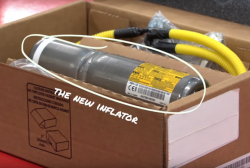 According to the Camry lawsuit, as the refrigerant goes through the evaporator it produces water because of removing humidity from the air, but the water is supposed to drain from the system through a rubber hose. The plaintiffs claim pollen, moisture and debris causes the growth of mold in the evaporator. The moldy musty smell is then blown into the passenger cabin of the Camry, exposing occupants to health problems from the mold. 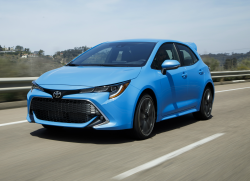 According to the Camry lawsuit, Toyota has known about the mold odors because the automaker sent dealerships multiple technical service bulletins (TSBs) since 1997. 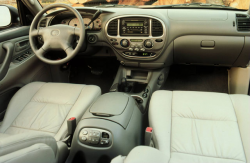 In May 1997, Toyota issued TSB AC002-97 titled “Air Conditioning Evaporator Odor” for all Toyota vehicles. Dealers were told a musty odor may be emitted from the air conditioning when used in areas with high temperatures and humidity. The smells were most noticeable when the air conditioner was first turned on after the vehicle had been parked for several hours. 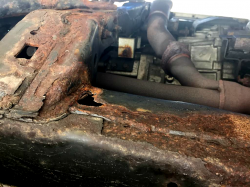 Toyota blamed the moldy odors on possible blockage of the evaporator housing drain pipe that caused condensation to build up. Another possible cause could be microbial growth in the evaporator from dampness in the evaporator housings. The TSB also said the repairs would be covered under the 36-month/36,000-mile warranty. The 2013 TSB said “there is no way to eliminate these odors" but dealers should follow the previous bulletins to minimize the smells. In 2015, Toyota updated T-SB-0142-13 to include 2007-2015 Camry and Camry Hybrid cars. 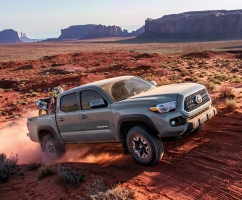 According to the lawsuit, internal documents show Toyota knew mold was growing on the evaporators all while dealers were telling customers the moldy odors were normal. The Toyota Camry mold smell lawsuit was filed in the U.S. District Court for the Southern District of Florida - Cardenas, et al., v. Toyota Motor Corporation, et al. The plaintiffs are represented by Podhurst Orseck P.A., Kessler Topaz Meltzer & Check LLP, and Kiesel Law LLP.